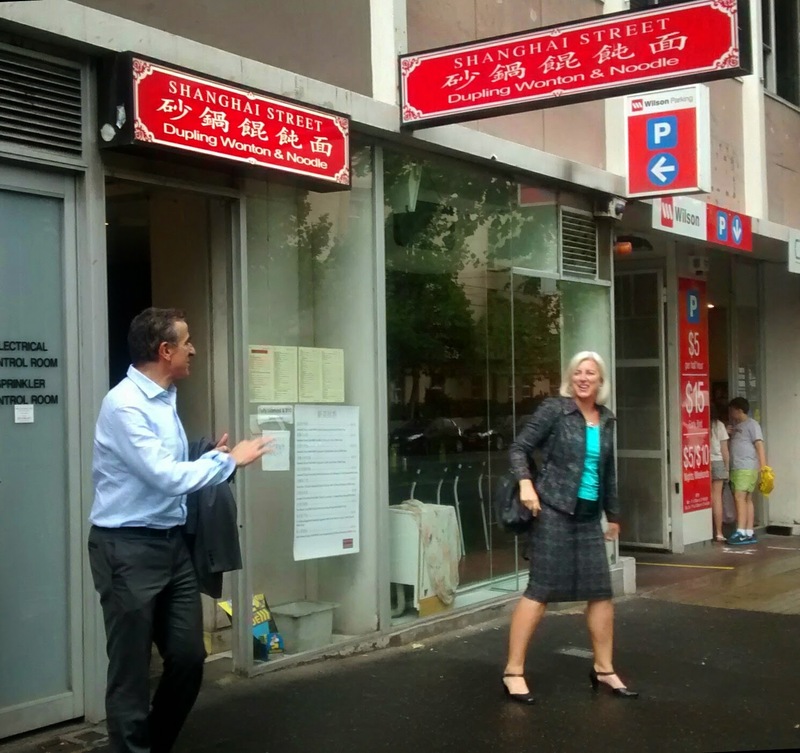 Phil and I enjoyed our visit to the original Shanghai Street Dumplings outlet on Little Bourke soon after it opened around three years ago. It still seems to be popular with queues out the door whenever I'm passing. 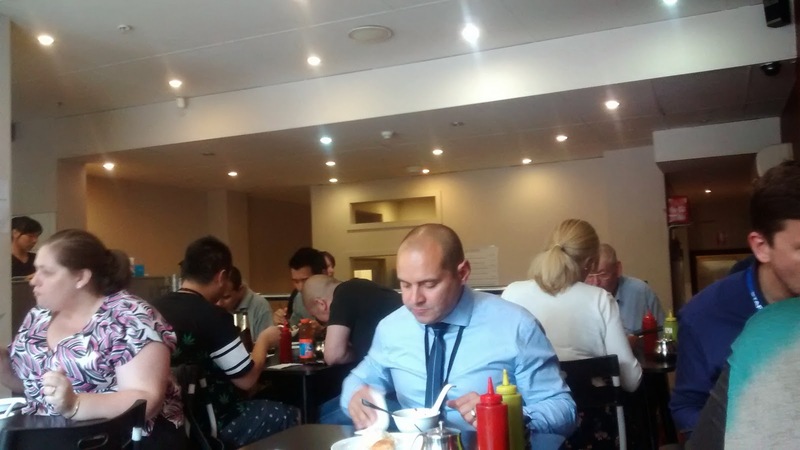 I had been aware of the sister restaurant not far from the office, up on the edge of the CBD on La Trobe Street but hadn't visited. After a slightly confusing phone call to check if they were open in the run up to Christmas I ended up booking a table. This was probably a good thing as it was busy when we arrived at 12:30 on a Tuesday lunch time. The fit out is clean, bright and fairly minimal. 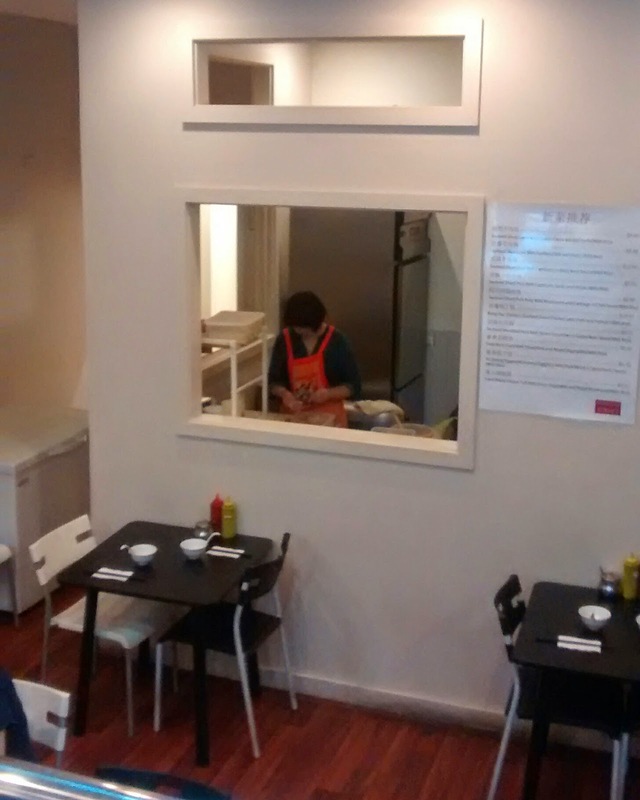 At the back you can peer down to check out the eponymous dumplings been made in the semi-open kitchen. Once we were seated we had quite a wait to put in our order, although to be fair we were probably not focused entirely on the menu with plenty of chat. 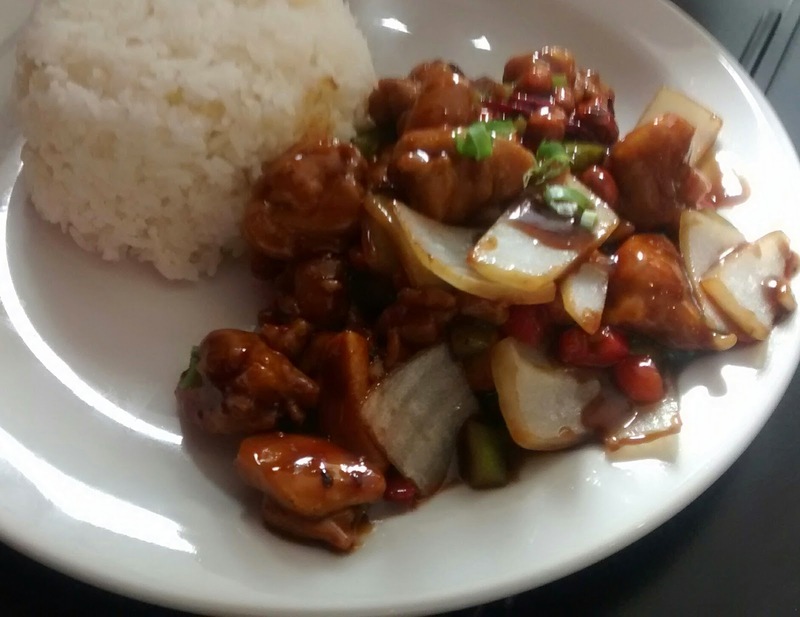 It didn't take too long for our food to arrive Michael had the Kung Po chicken, which was he thought was good. however it wasn't really his favourite combination of flavours. 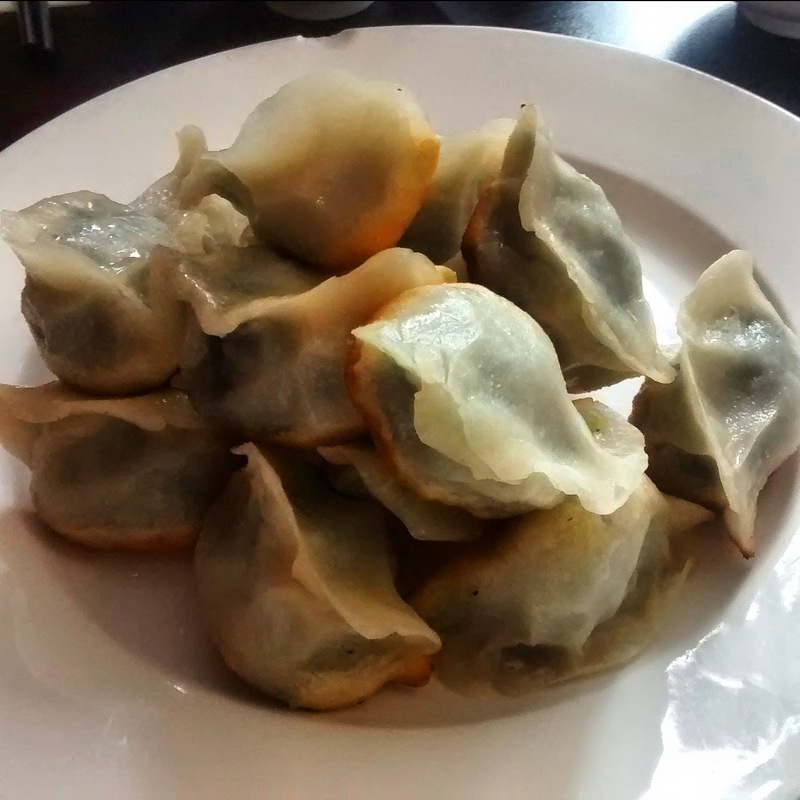 I went for the fried vegetable dumplings.They ticked all the boxes with thin skins, crisp browned bases from the pan and tasty spinach heavy filling. The plate of 15 came in under $10. 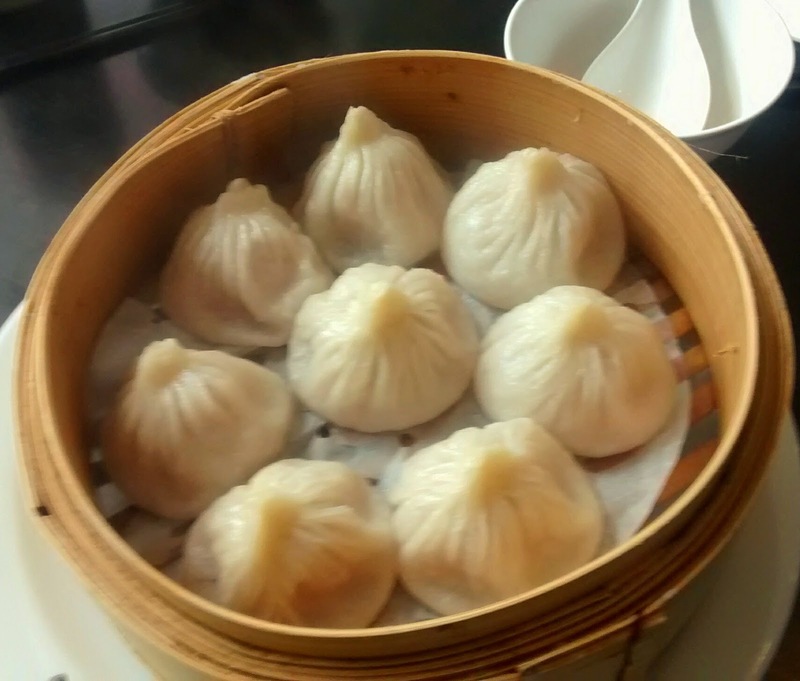 We shared a plate of the home made traditional steamed Shanghai pork xiao long bao. They were pretty popular all around the table, although I did end up polishing off 3 of them! 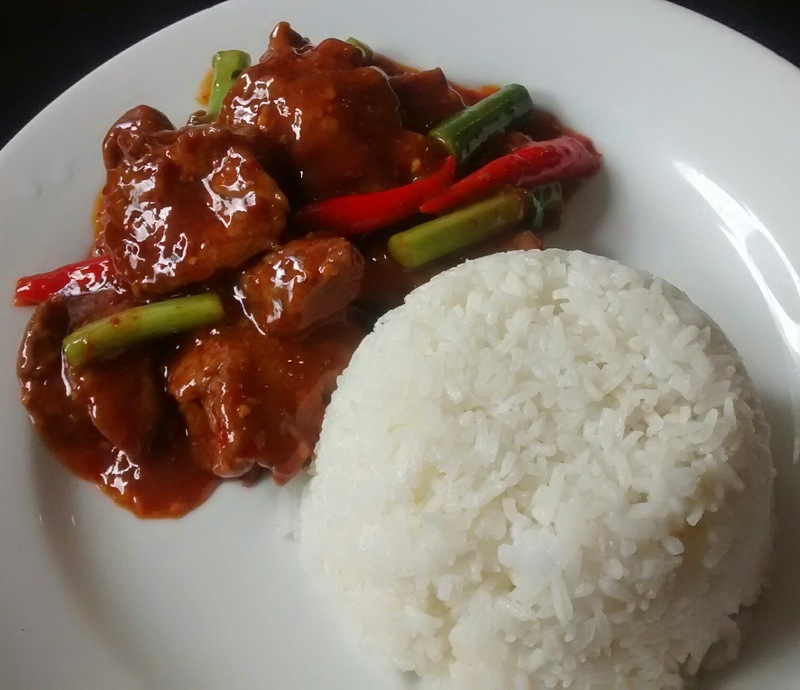 They did have thicker less delicate skins, but that helps keep the flavoursome liquid inside along with the pork. The futile battle to try and eat them with any style is was worth it for the taste and texture combo.